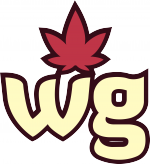 Since many people have contacted us from a lot of places wanting to be part of Weed Girls, we have changed the way we generate our content and, from now on, you can be part of our team, no matter where you are. Are you a model or a photographer? Are you of legal age? Do you want to be part of Weed Girls? This is your chance! 5 photographs with casual clothes. 5 photographs with no clothes. Each photograph should not weigh more than 1.5MB and there should be a balance between horizontal and vertical photographs. The model has to answer some questions in order to write her bio (required). Video in HD, aspect ratio 16:9 (1920×1080) and duration of 1:30 minutes. The video must weigh less than 100MB and be exported in H.264, .mp4 format. It is important that the only person that appears in the video is the model. The sending of the video is completely optional and does not condition the selection or not of the photographs. If we love your photo session and some of your photographs are chosen to be used in Weed Girls Magazine. It’s very simple. First thing you have to do is fill out the form below. We will contact you within no more than 7 days, sending all the specifications as well as the contracts for the model and the photographer. Once the photographs have been approved, we will make the payment only through PayPal to the person who contacted us. Weed Girls team is committed to paying only the material that is used by us. Fill out the following form and we will send all the specifications to your e-mail address.